Want to go on an International Volunteers in Mission Trip? We have some ideas and thought starters for you! Please contact missions@oumc.org for more information about any of these opportunities. June 19-27, 2018 and mid-November, 2018 various humanitarian objectives. Mexico - Multiple trips to do construction and medical work. Democratic Republic of Congo, North Kataga Conference UMC - To develop a training experience for youth and young adults of the Kamina Children's Home and the surrounding congregations. Information about these opportunities is available at here. Teams led twice a year by Mike Estep of Ohio River Valley District. Teams led yearly in February by Nancy Newton of Ohio River Valley District. 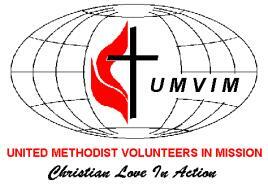 There are also many opportunities to support international and domestic missions through UMCOR. Get in Touch with the Missions Team!